Ive been involved in the motor industry for over thirty years and have always had a passion for cars and racing. After completing a mechanical engineering degree I started AA Automotive over twenty years ago and six years ago we moved to our current premises at 14 Nightingale Street, Magill. At AA Automotive we believe in building long term relationships with our clients. We earn and value the relationship that we have through our attention to detail and communication and we live up to the client expectation that comes with the relationship. You will find the team are passionate about cars and providing the right advice and professional service to ensure your classic performs as you want. Many of our customer relationships go back many years, which is testament to the knowledge and experience that the team offers. Over the years the business has grown from a local MG workshop to offering a range of services, performance parts and enhancements, restorations and manufacture of custom parts for a global market. We work on a range of classics, including MGs, and build race cars for rally and circuit use. We have a large workshop that can accommodate ten cars and we have seven hoists to perform any work a client specifies. The team consists of six experienced staff and we are currently looking to add two more skilled tradesmen. The workshop has all the equipment you would expect including MIG, TIG and oxyacetylene welders, three bending machines, three mills, three lathes, a Churchill surface grinder, paint booth, engine dyno and an area to produce fibreglass moulds and components. AA Automotive can offer a full range of services including car service for any type of vehicle, V8 conversions, full restorations including body and paint, electrical, upholstery and trimming. We offer engine, driveline and brake upgrades, RHD steering conversions, metal fabrication and racing preparation. We undertake wheel alignments and can service your car air conditioning. We specialise in MG and Rover V8 engines and import Elphin Clubmans, MGF, RV8 models and Westfields for Australian customers. We also do a lot of race car preparation, mainly for MGs but we have built a Falcon Sprint from a bare shell to a competitive rally car as well as a Commodore for classic rallying. We have built fuel injected 4.6L V8 MGBs and a warm MGBGT road car and can provide full engineering, testing and compliance for our clients. 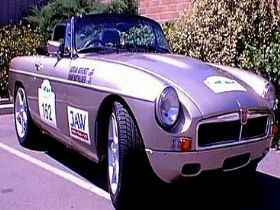 AA Automotive was instrumental in the establishment of the MGF racing series in Adelaide at the Mallalla track where various newcomers and experienced racers drive similarly specified cars. 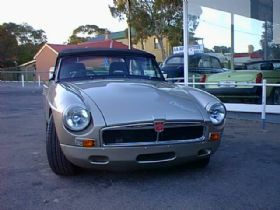 We have also prepared customer cars for Calder, Phillip Island, Adelaide Classic Rally and MGA and MGBs for Historic racing. AA Automotive is the exclusive Australian Distributor for Jack Knight Developments, a company that has an international reputation dating back to its early association with the Cooper Car Company in the early 1950s for the supply of drive train components. They design and manufacture specialist high performance steering assemblies, engine components, gearboxes and gear sets, drive shafts, differentials and brake components. We have an expansive range of spare parts and distribute heated windscreens, safety devices and CAMS approved roll cages and can supply extractors, fibreglass spoilers/panels, brake kits, right hand dashes, bell housings, engine mounts, fully adjustable front wheel alignment kits and limited slip differentials. We design and manufacture four spot vented disk brake kits and front and rear suspension components. 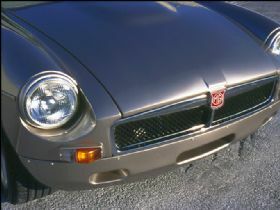 We fabricate four into one tri y extractors for the MGB V8. We have a full complement of race spec MG parts for four cylinder and V8 cars including alloy flywheels and ARP bolts. We encourage clients to visit our workshop to gain an insight of our business and to see some of the restorations we are currently undertaking. We normally have several meetings prior to commencing a restoration for a client to understand their expectations and we take a lot of photos of the work in progress. We are flexible with a clients decision making process and can do partial to full rebuilds based on their requirements. All work is done on a time and materials basis. 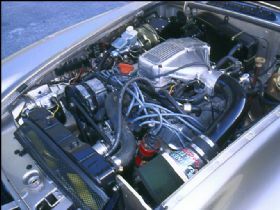 We have found that being based in Adelaide has helped our worldwide clientle due to lower component and labour costs resulting in more cost effective restorations and parts. Over the years the staff have owned many classic cars and amongst more than a dozen currently owned we have a MGTC, MGA Twin Cam and a MGF Cup factory built race car. 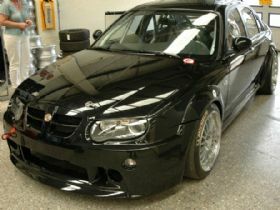 I also have just acquired a MGZT which is the last car built by MG for racing and will personally race it in the MG class Series in Melbourne. 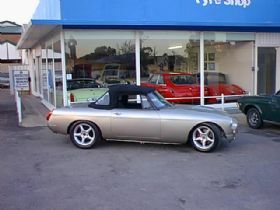 We are members of the MG Car Clubs of SA and VIC and the SA Sporting Car club. AA Automotive is an RAA / MTA approved service centre and we operate vans for RAA road service for the local community. If you are after a basic service and tune, spare parts, a restoration or full racing car preparation the team are more than happy to be of service. Please phone during our office hours of 7.30am through 6.00pm Monday to Friday or drop by the workshop to discuss your requirements.